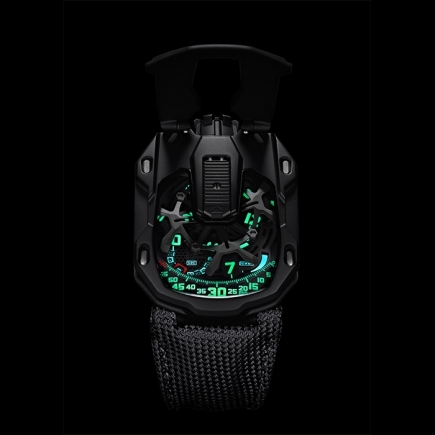 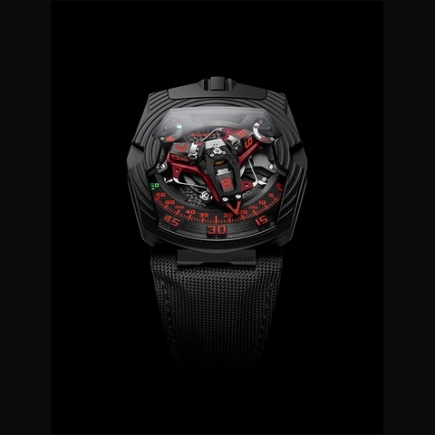 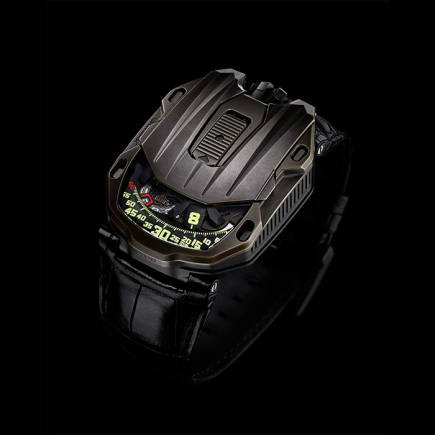 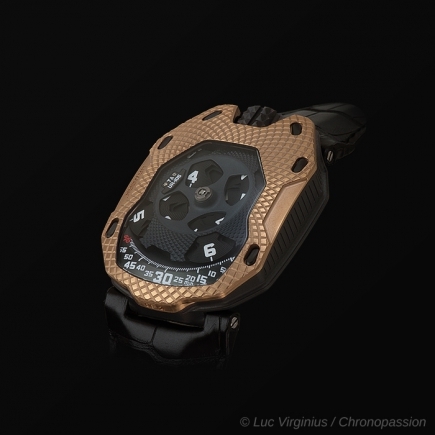 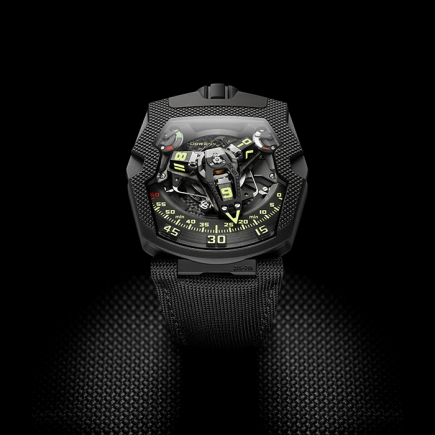 urwerk | 143'000 € Tax inc. 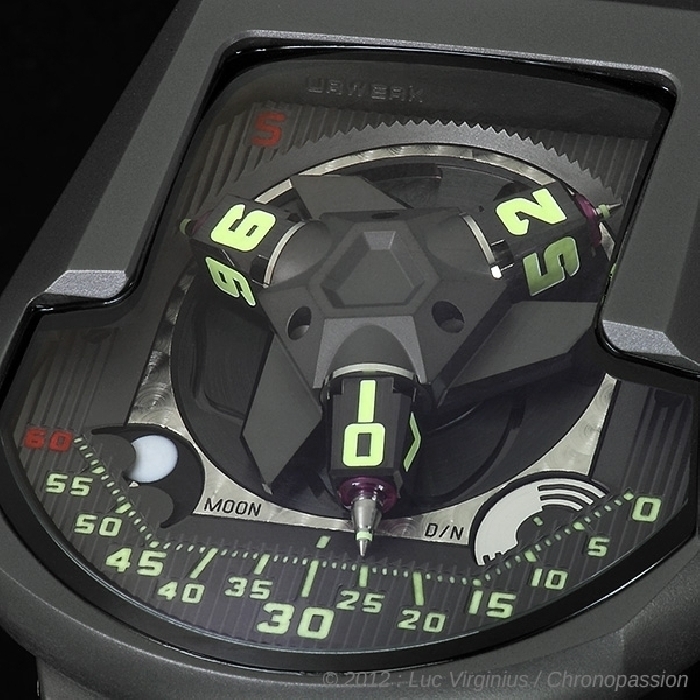 The UR-202 S Turbine Automatic features the patented revolving satellite complication with the added bonus of an innovative new winding system regulated by compressed air! 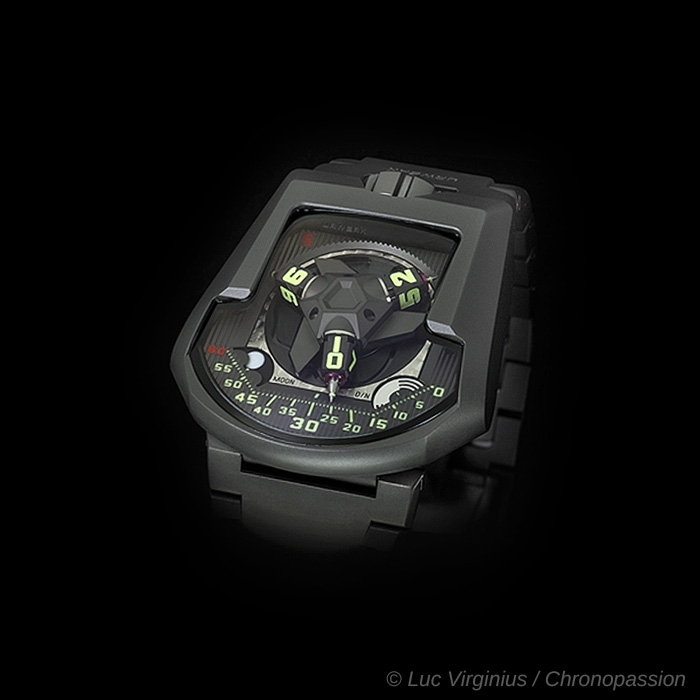 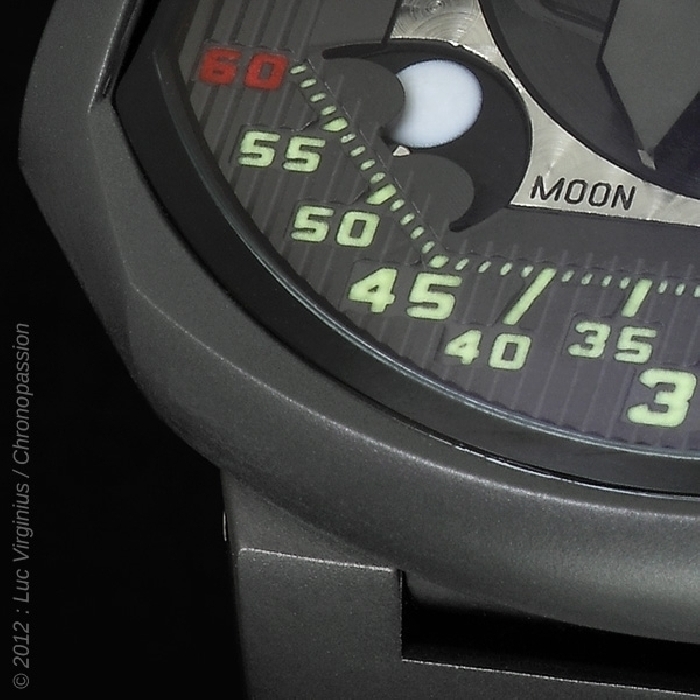 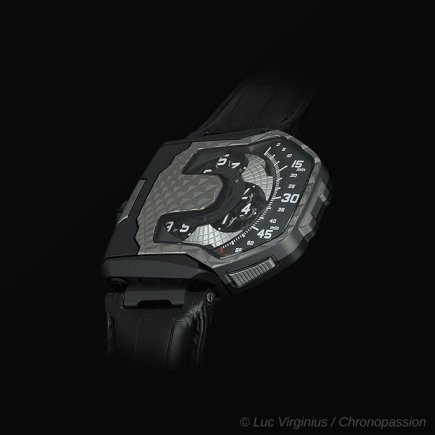 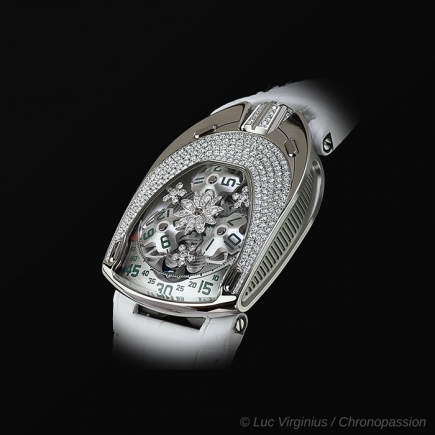 The UR-202 is the world’s first watch with the winding rate regulated by fluid dynamics. 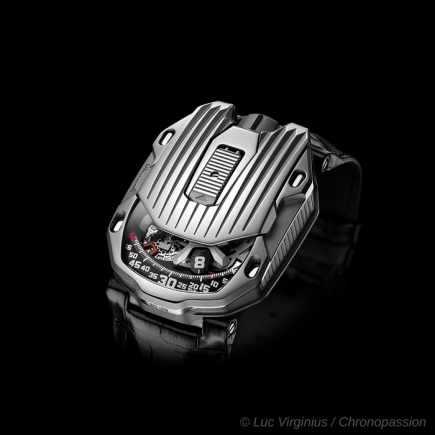 As long ago as the 18th century, clockmakers were using air friction to regulate the speed of chiming clocks, and their techniques evolved to become the preferred method of regulating the rate of chimes on minute-repeaters. 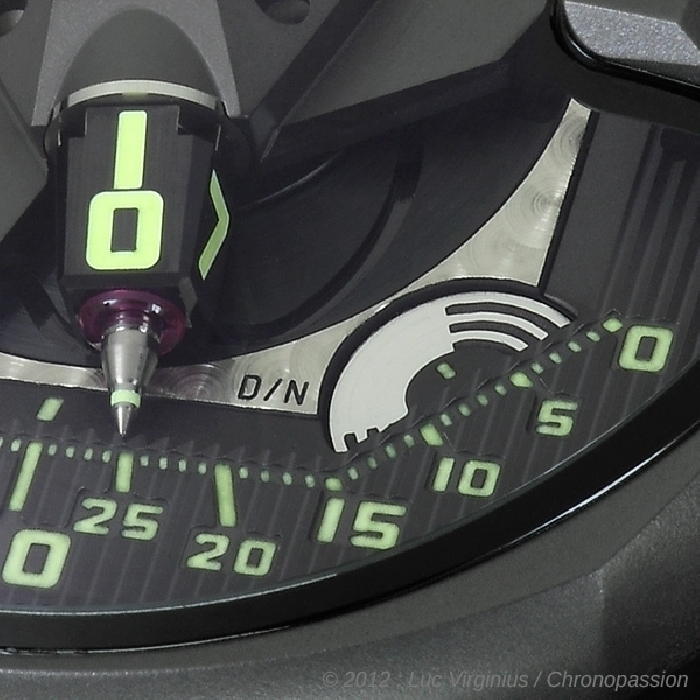 The UR-202’s twin turbines are coupled with the winding rotor. 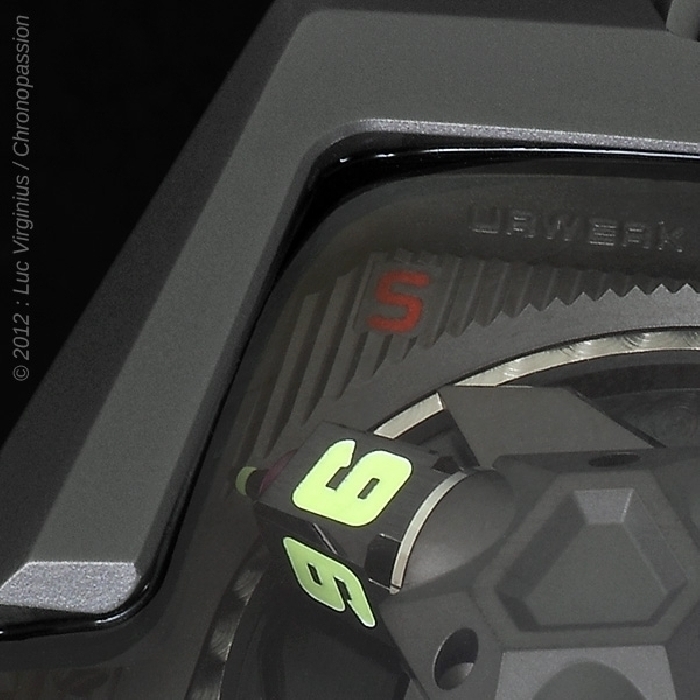 According to the position of the selector lever, the turbines act as shock absorbers. 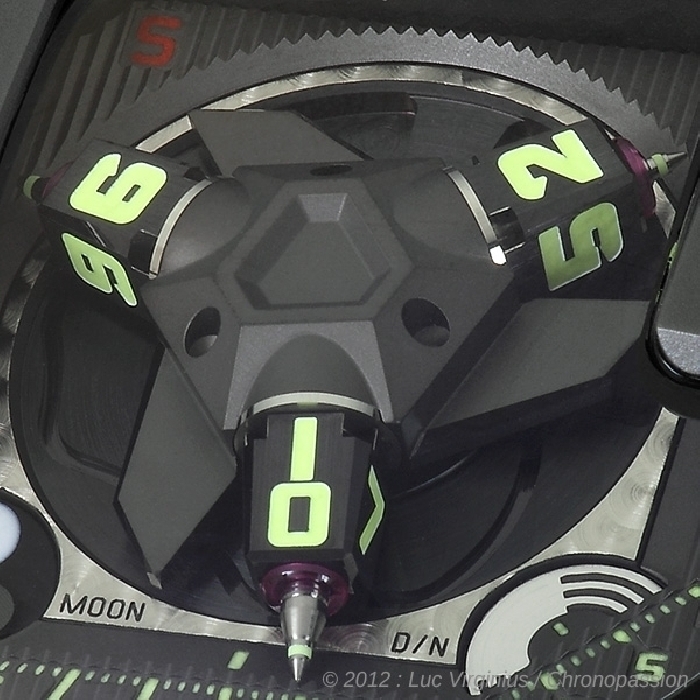 In normal activity they cushion sharp movements of the rotor. 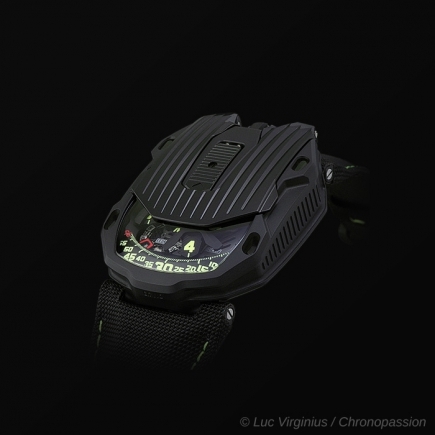 This reduces wear and increases the lifespan of the movement. 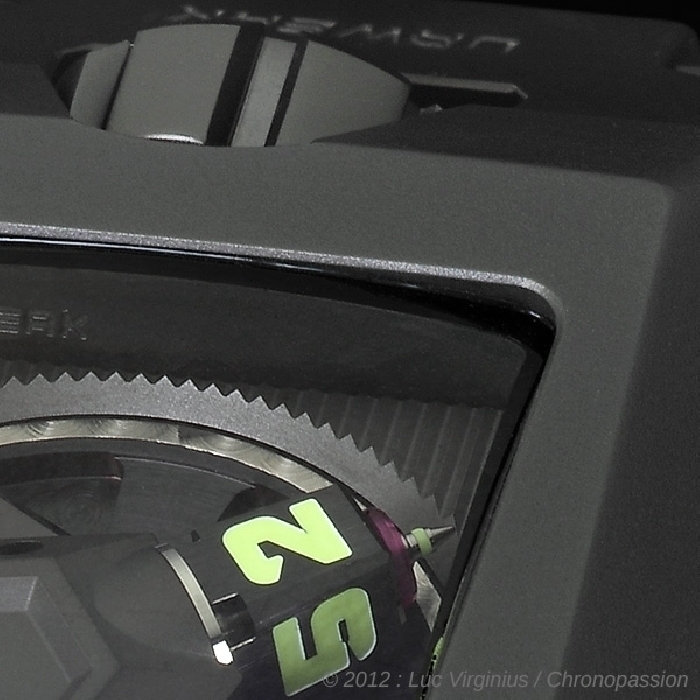 While the selector position is continuously variable, the three principal positions are: normal activity, where the turbines spin freely; vigorous activity, where the air pressure generated by the turbines reduces the winding rate by approximately 35%; and extreme activity, where the turbines and rotor are fully blocked.